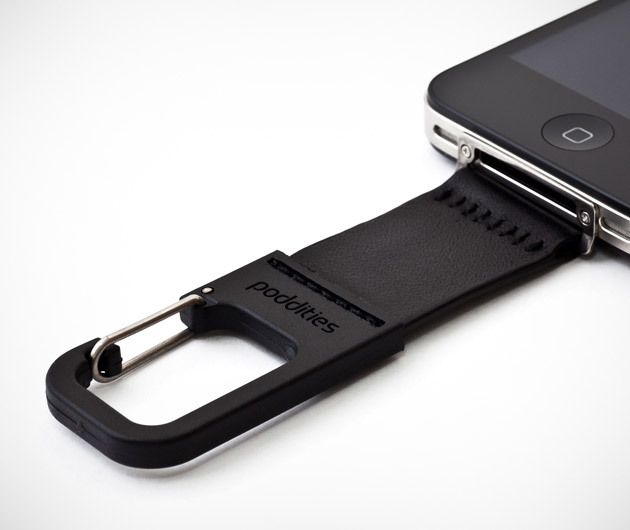 Accessing your iPhone with the greatest of ease is made possible by the iPhone Carabiner Clip ($30). Hang it securely on your belt buckle or bag straps for easy-access and convenience. Your iPhone is guaranteed to be going nowhere since it is directly attached to the clip itself. It provides maximum utility for people who are constantly on-the-move. Of course, the clip can also be used for other things such as keys and whatnot.